Clean the mutton pieces and marinate it with chilli powder, turmeric powder, fennel powder, pepper powder, kasuri methi and salt. Keep it aside for 30 minutes. 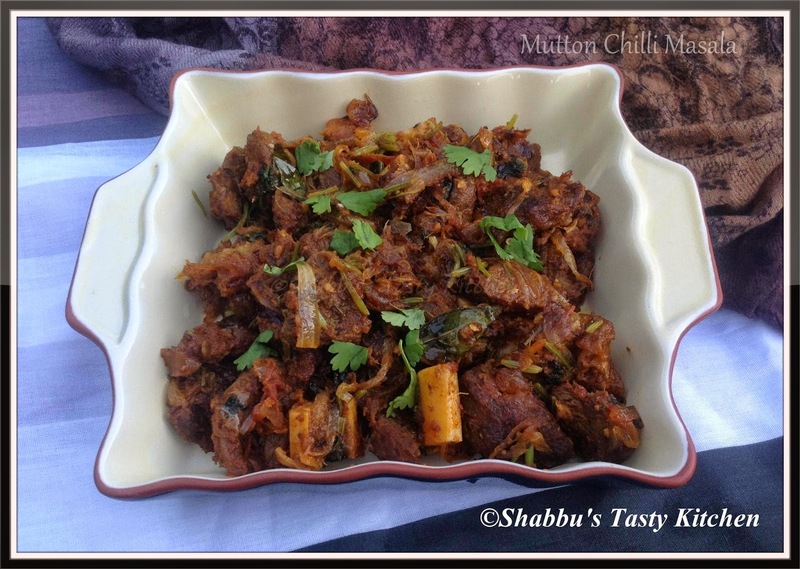 Add the marinated mutton pieces in a pressure cooker and cook till done. Then heat oil in a pan and fry the cooked mutton and keep it aside. Crush shallots, ginger and green chillies together. Heat little oil in a pan and fry the sliced onions till brown and keep it aside. Add cinnamon pieces and the crushed mixture to the pan and saute well. Then add sliced tomatoes and saute well. Add fried mutton, fried onion, coriander leaves, curry leaves, 1/4- 1/2 tsp pepper powder and mix well. Check salt..